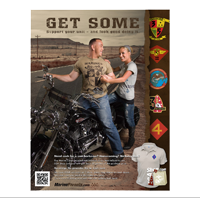 Help Gold Star Parents, Marine Week 2013, and More! 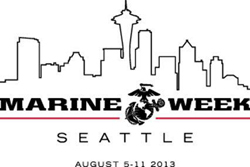 Four months may seem like quite a while, but early August and Marine Week Seattle will be here sooner than you think! We begin this issue of the newsletter by previewing this year's celebration of "Community, Country, and Corps." In late January, we discussed the Farley-Kluger Initiative to Amend the Family Medical Leave Act of 1993 to add the loss of a child. 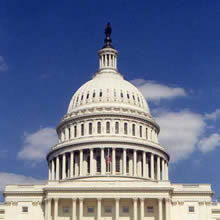 The initiative, now formally known as the Sarah Grace-Farley-Kluger Act, as well it's companion bill, The Parental Bereavement Act of 2013, were introduced in Congress in early February and our second article provides an update on the progress being made by the initiative in Washington. We then look at a new enterprise being promoted by Commandant General Jim Amos to encourage racial and gender diversity in the Marine Corps' officer ranks to more accurately reflect the diversity of the enlisted ranks, as well as the country as a whole. Finally, we unveil a new section of the newsletter entitled "Get to Know the Team." 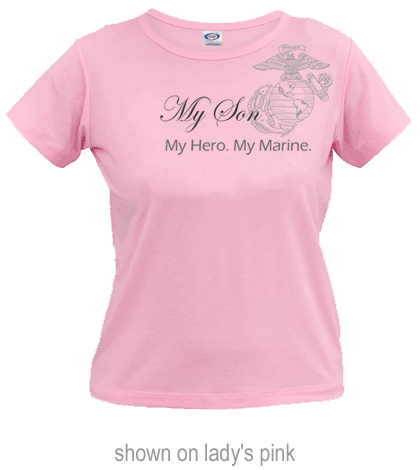 This section discusses what Team Marine Parents™ is, and will profile a different team member in each issue. Marine Week is just a few months away, with the fifth annual installment taking place this August 5-11 in Seattle, Washington. The event debuted in Chicago in 2009, and, after four very successful years in Chicago, Boston, St. Louis, and Cleveland, respectively, is heading west this year. Marine Week is a "celebration of Community, Country and Corps" and provides the public with the unique opportunity to experience and interact with the Marine Corps in an up close and personal manner. During Marine Week, the public will be able to view the latest in military technology and weaponry, view hand-to-hand combat demonstrations, participate in clinics with Marine Corps athletic teams, and watch the Marine Corps Band and Silent Drill Platoon, among other activities. The week will culminate with the Marines "invading" Seattle, in a simulated amphibious assault meant to show off the Corps' unique abilities as America's elite expeditionary force. All Marine Week events and activities will be open to the public, free of charge. A full schedule of events will be released early this summer, so make sure to check back for that as Marine Week 2013 draws nearer. On February 5 of this year Congressman Steve Israel (NY) introduced the Sarah Grace-Farley-Kluger Act in the House the same day Senator Jon Tester introduced a c ompanion bill, The Parental Bereavement Act of 2013, in the Senate. * to care for an injured service member in the family"
The Sarah Grace-Farley-Kluger Act, as well as The Parental Bereavement Act of 2013 is to get the death of a child added to the current FMLA list. Both contend that "the death of a child is one of the worst experiences that anyone can endure" and that it is "unacceptable that the death of a child is not included as a protected reason to qualify for the benefits that are set forth in the Family Medical Leave Act of 1993." So far this initiative has 14 cosponsors in the House, 7 in the Senate, and almost 60,000 signatures from people like you. Please continue to support the Sarah Grace-Farly-Kluger Act, as well as The Parental Bereavement Act of 2013, and help us make a difference! 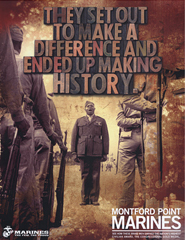 campaign to increase racial and gender diversity among the Marine Corps' senior officers. In the paper, Amos said the Marine Corps has "failed" in achieving a diversity reflective of the enlisted ranks or of American society among its senior officers, despite the creation of the Military Leadership Diversity Commission in 2009. Amos went on to say that he believes it is "imperative that the Corps take a fresh approach to diversity, one that reflects our reputation for performance and leadership." To further the diversification of officers in the Marine Corps, Amos called for the creation of four task force groups comprising officers from all Marine communities. Two of the groups are to focus on attracting and retaining female and minority officers, one will focus on leadership, accountability, and mentoring, and the final one will focus on culture and leading change. No timeline was given for when the task force groups will be launched, and the size of the groups remains unclear. Team Marine Parents™ is a group of individuals, generally parents, family, and friends of Marines, who participate in athletic events nationwide to support our troops. The mission is to raise funds and awareness of the organization's outreach programs. 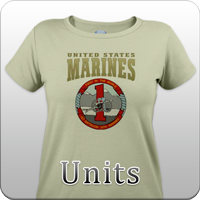 Currently, there are approximately 50 members of Team Marine Parents™ around the country. This issue's featured TMP™ team member is Cheryl Fairfield. Cheryl is both the mother and daughter of a Marine, her father Loren Grace having served as an MP in Cuba during the Korean War, and her son Jake currently serving with 1/6 Weapons Company. This year, Cheryl has already participated in the 2013 Southern Indiana Classic, and will be competing in the Allstate Life Insurance Chicago 13.1 Marathon� on June 8, as well as the 38th annual Marine Corps Marathon on October 27. Cheryl is running in support of Purple Heart Hero Support, and has currently raised $40 of her $300 goal. The banner photo is a Marine Corps photo taken 04/01/13 by Cpl. Bobby Gonzalez. BAl Hamra, Al Hamra, At Sea - Gunnery Sgt. Andrew J. Hodges (center), foreign area staff non-commissioned officer, 15th Marine Expeditionary Unit (MEU), poses with Marines from Lima Company, Battalion Landing Team 3/5, 15th MEU, and members of the United Arab Emirates Defense Force during Exercise Iron Magic, Dec. 12. Iron Magic is a bilateral amphibious exercise between the 15th MEU and the United Arab Emirates' Defense Forces that focuses on expanding levels of cooperation, enhancing mutual maritime capabilities, as well as promoting long-term regional stability and interoperability between U.S. forces and the United Arab Emirates. The 15th MEU is deployed as part of the Peleliu Amphibious Ready Group as a U.S. Central Command theater reserve force, providing support for maritime security operations and theater security cooperation efforts in the U.S. 5th Fleet area of responsibility.